Annually, KNSC draws up a balanced budget. Based on 2016-17 figures, we’re counting on income and expenses in 2017-18 to total $22,500. $1,000 is set aside for bridge maintenance. On the income side, we can expect $14,000 from memberships and day passes. This leaves us with a $8,500 shortfall, which is made up with fundraising events, grants, and donations. Trail users. 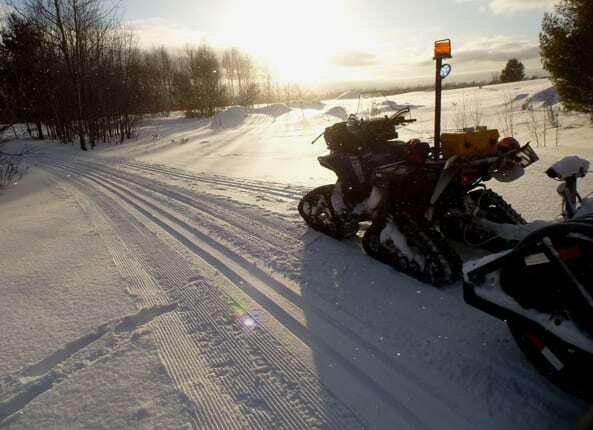 Keweenaw Nordic and the City of Hancock work continuously to keep these trails open for the public. Do your part and donate. Whether you ski, snowshoe, snowbike, hike, bike, run, fish, bird watch, dog walk, or sun bathe on the trails, your support is paramount. Parents of trail users. Keweenaw Nordic is committed to supporting youth skiing. We host the annual Barnelopet kids ski race each February, and operate the “learn to ski” program at Hancock’s Barkell Elementary School. We want kids to grow up embracing winter, and developing a love for silent sports. Do you? You can support these programs with a donation. Dog owners. 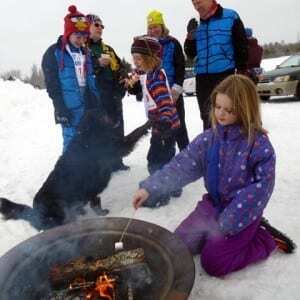 Keweenaw Nordic provides the area’s only 100% dog-friendly trail system. If you appreciate and benefit from this, then you should donate. Concerned citizens of our community. Keweenaw Nordic and the City of Hancock provide stewardship of the vast Maasto Hiihto and Churning Rapids systems. This unique recreation offering is one of the city’s treasured features. If you believe it is important to have public access to green space close to home, you should support the trails with a donation.